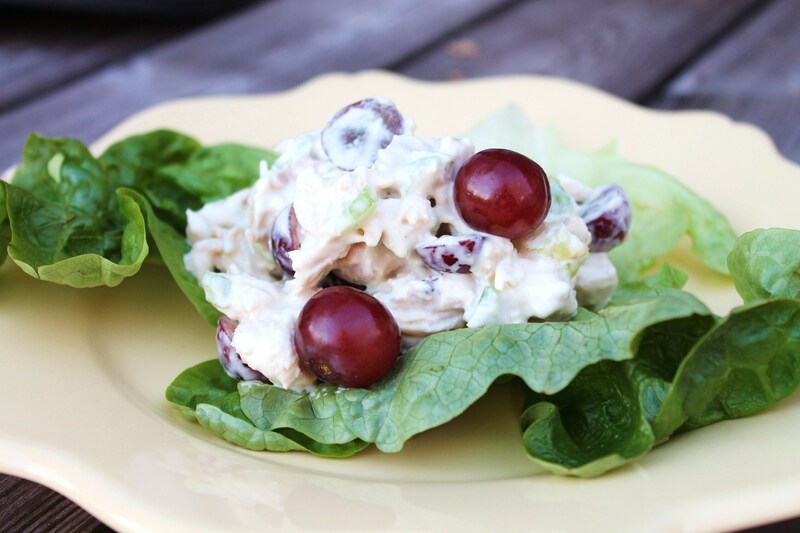 Everyone has there own version of chicken salad… and today I am sharing my favorite way to prepare it. I consider my version somewhat healthier as I use some yogurt in place of mayo and I add grapes for a nice surprise flavor and texture. Stir mayo, yogurt, mustard and honey. Add celery, chicken and grapes. 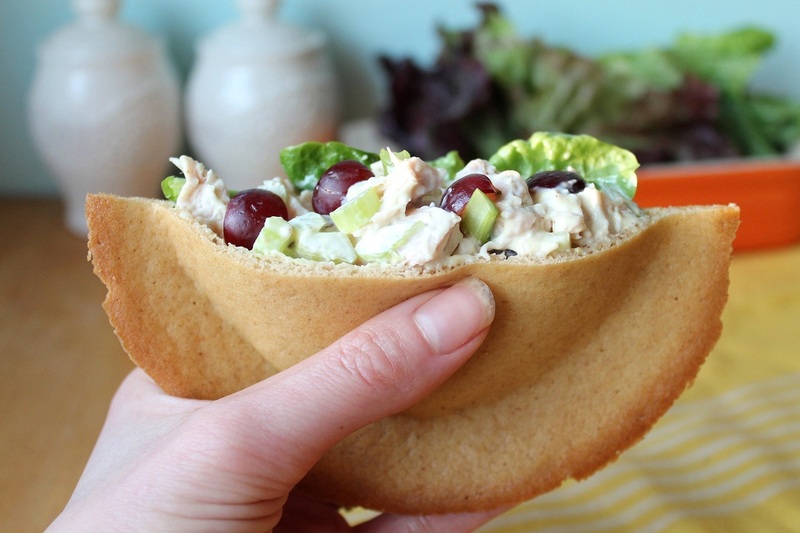 Serve with lettuce cups or pita bread. Have you tried my pita bread? if there is a way to be able to print just the recipe? I am getting tired of copying it off. If you use Microsoft Word, place your cursor at the beginning of the recipe, then ‘right click’ and drag the cursor down to the end of the text you need to copy. Use the copy function and then open up Microsoft Word (if you have not already done so), and paste into the blank page- it will fill with your copied content. I copy to print shop and then print out recipe. It works for me. Absolutely love all your recipes and pics so cute. Such a blessing to have great recipes and not a huge ingredient list like many other sites with chemical ingredients too. Thanks for all your hard work. So appreciated by many more I’m sure. You have a beautiful family too. Thanks so much for providing such wonderful recipes for those of us who can’t live like the rest of the world. I’m so excited to try the granola bars!